Subaru vehicles are designed to be high performing and to provide a powerful, reliable driving experience. When it comes to owning a Subaru, your vehicle requires specialized maintenance and care in order to keep your vehicle running smoothly for years to come. At Superior Auto Clinic in Chico, CA, we offer professional auto repair services and repairs for Subaru vehicles. Our ASE certified technicians are specially trained and highly experienced working with all makes and models of Subaru. Our mechanics can perform all types of services for your Subaru, including oil changes, brake repair, computer diagnostics, and more. Whether your vehicle is due for scheduled maintenance or needs a major repair, we can help. If you’re experiencing any issues with your Subaru, such as an oil leak or a burning smell while driving, bring your vehicle into the experts here at Superior Auto Clinic. When you first notice a problem with your vehicle, we recommend that you bring your vehicle into our auto repair shop as soon as possible. 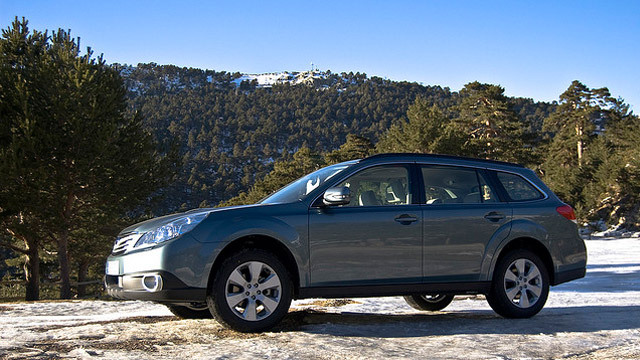 Ignoring a small problem with your Subaru can turn into a larger, more expensive repair over time. At our Chico auto repair shop, we have state-of-the-art diagnostic equipment to accurate diagnose and repair your Subaru. Our mechanics take the time to go over our free estimate and discuss which of our recommendations are important to ensure your safety on the road. Our main goal is to get you back on the road safely and quickly. At Superior Auto Clinic in Chico, CA, we offer excellent customer service and professional auto repair at fair prices that you can afford. We also offer a 36 month/36,000 mile warranty on our services and repairs. Our AAA approved Chico auto repair shop has been the leading auto repair center in Chico since 1953. When you need superior service or repairs for your Subaru, bring your vehicle into the professionals here at Superior Auto Clinic. We look forward to servicing your vehicle soon!